The handbook is dedicated to the Communist treatment of the nationalities question over the early years of the Bolshevik regime between 1917—1924. The twentieth century went down in history as the century of the collapse of multi-ethnic states and the emergence of Nation States instead. The policy of Bolshevism on the national question was not homogeneous and depended much on the political situation and Civil war. Its development was determined by February Revolution and various separatist and autonomy movements, started in the spring-autumn of 1917. 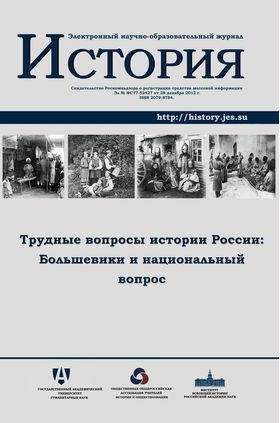 The main Bolshevik slogan of the right of self-determination varied according to time and circumstances and became an important tool of bringing the peoples of Russia on the side of Soviet power. These questions are examined in the handbook along with the problem fields of national questions.